The Movie Masterpiece was Directed by Ajai Vasudev and Produced by C. H Muhammed under the banner Royal Cinemas. 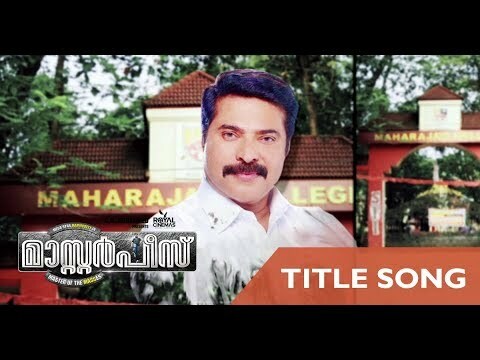 Staring Mammootty, Unni Mukundan, Mukesh, Gokul Suresh, Maqbool salman, Varalekshmi Sarathkumar, Lena, Poonam Bajva. arranged and programmed : Aloshya Kav. Electric and Acs guitars : Deepu sasidharan. Sessions recorded at Dev’s Wonderland Cochin.